The Republic of Macedonia, a small landlocked Balkan state, has been in dispute with its neighbour Greece over its name ever since its creation after the breakup of Yugoslavia in 1991. This is, in a nutshell, due to the historic Ottoman region of Macedonia encompassing an area much larger than the modern Macedonian state, including large sections of modern-day Bulgaria and Greece. Thus, many Greek administrations have seen the decision to name Macedonia as it is as a co-opting of historic Greek culture by a people who have less cultural right to it than they do. This has led to tensions between the two nations, and fired up nationalist sentiment on both sides. On January 21st and February 5th, two large protests were held in Greece, counting 90,000 and 140,000 people showing their dissatisfaction with the possible settling of the decades-long dispute. Almost immediately following the state’s creation, Greece imposed a trade embargo on the new republic, which was only lifted after 19 months following concessions from Macedonia. These included Macedonia agreeing to remove the Star of Vergina, a 16-pointed star which Athens argued was an intrinsically Greek cultural symbol deriving from the legacy of Alexander the Great, from its flag. Greece also blocked the recognition of Macedonia by the pre-EU institution, the European Community, arguing that the country’s name implied ‘territorial ambitions’ on northern Greece. Macedonia had to agree to formally remove any hint of territorial ambition on historic Macedonia in its constitution as a part of this deal. 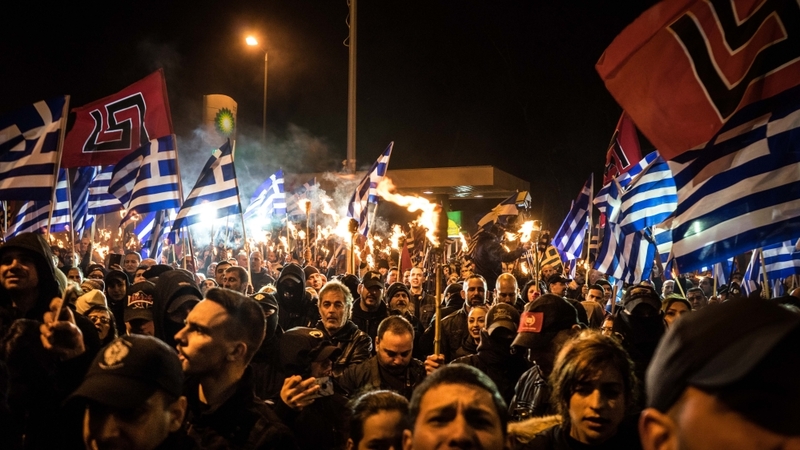 Nationalist tensions have been contributed by the different ethnic makeups of the two countries – with Macedonia predominantly Slavic, and Greece Greek. The many dimensions at play in this dispute are why it has lasted so incredibly long – 27 years in 2018. Relations seemed to be improving between the two nations in the period 2000-2008 with talks about qualifying Macedonia’s name to distinguish the state from the region, only to again deteriorated rapidly. Greece blocked Macedonia’s talks with NATO and Macedonia responded by actively renaming public infrastructure after Alexander the Great, which to some Greeks was further evidence that Macedonia was trying to steal their cultural identity. Diplomatically, there seem to be progress once more, with the leaders of both countries eager to settle the dispute, having spoken at the Davos summit on the issue. Greek leader Alexis Tsipiras stated that ‘[Greece] doesn’t want only to solve the name issue. We want to build the relations of our countries on sound foundations’, while the Macedonian leader Zoran Zaev said he wanted Greece to be ‘counterparts in the EU and allies in NATO’ with his country. However, national emotions in this case have proven to be extremely elevated and protest turn-out continues to be very high, so the settlement might not go as smoothly as the leaders’ statements seem to suggest. Only time will tell, but after 27 years of contention over a name, resolution can’t come quickly enough.